Whether you have dry and brittle nails or your problem regards soft, peeling nails, the right nail strengthener can significantly decrease the risk of any breaking or other nail problems. Pick the right product for you from an expect selection of the best nail strengtheners. Even if you own one of the best nail polishes to strengthen nails, the extra protection of a nail strengthener can almost guarantee you won't suffer any more nail problems. Stick to your favorite colors of nail polish and try these products that offer protection without limiting your choice of colors. 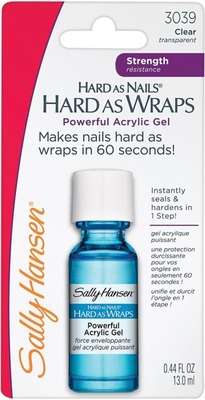 Get powerful acrylic protection from one of the best nail strengtheners. In one easy step, the Sally Hansen gel offers a clear, shinny and smooth finish. Simply apply a coat of this long-lasting formula on your clean, dry nails and follow it up with 1 or 2 coats of your desired nail polish. Forget about snaps and splits with the OPI Nail Envy. Formulated with antioxidant vitamins C and E, this is considered one of the best nail strengthening products thanks to its fast effects. When your problem consists of peeling nails, the special OPI Nail Envy is definitely the best nail strengthener for you. Its formaldehyde-free formula includes kukui nut oil and vitamin E for soothing and protecting your nails. Using Aucoumea Klaineana extract, a natural resin from west African trees, this nail hardener strengthens nails and prevents ridges. It's the best nail strengthener for application right after removing acrylics. 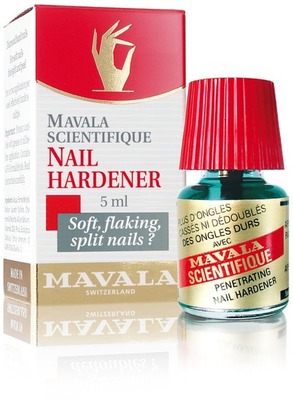 Formulated specifically to protect the tip of the nail, Mavala Scientifique hardens the entire nail plate to restore the nail to normal growth. Unlike most of the best nail strengthening polishes, which also act as a base coat, this nail harderner is a separate treatment, recommended twice a week. Once your nails are back into shape, the best nail strengthener that will keep them healthy in the long run may be the Nail Tek conditioner. It can be used both as a base coat or a top coat daily, to make sure your nails are always protected from splitting or breaking.